The classic children’s storybook, Guess How Much I Love You, has been a treasured favorite for many families worldwide. Now, Kids Preferred™ will be taking the storybook father with a new collection of blankets, plush figures, and more. Guess How Much I Love You is a story that we have read thousands of times in my home. In a constant competition, Little Nutbrown Hare tries his hardest to one up Big Nutbrown Hare until he finally drifts off to sleep. The so sweet story is perfect for reading as you cuddle up for one last story before bed.Kids Preferred™ is taking the snuggly story to next step with a wonderful collection of accessories that your little one can snuggle with as they drift off as well. Now available at specialty shops and boutiques across the US are your children’s new favorites. Little Nutbrown Hare has been transformed into 14 inches of oh-so-soft plush. 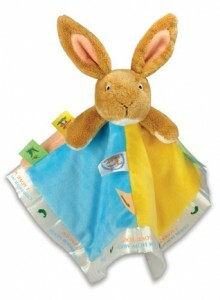 As a blanket buddy, he’s sure to amuse and soothe your little bunny day or night. 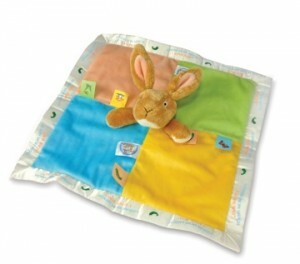 Featuring colorful scenes from the classic storybook, this soft block has a few surprises for baby! Discover a mirror, teething ring, strips of colored fabric, stimulating crinkling sound and a green gingham handle for carrying from stroller to crib to car. With outstretched arms, this 6-inch Little Nutbrown Hare will tell you how much he loves you! Press his tummy to hear “Rock a Bye Baby” and activate the lights in his ears. Attach this plush toy to the stroller, the car seat or the crib for an entertaining encounter with one of literature’s most endearing characters. Measuring 5.5 inches, this soft plush disc will keep baby active and occupied when attached to a high chair, stroller or car seat. More than a half-dozen little labels, many made with a crinkly sounding fabric, captivate little ones and offers plenty of variety to keep them busy. Press sound chip to hear “I Love You” and a kissing sound. 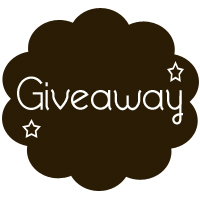 GIVEAWAY: Kids Preferred™ is offering TWO Growing Your Baby readers the opportunity to each win a gift package including one Guess How Much I Love You Blanket Buddy & Attachable Mini w/Labels. Tell Ameda Why YOU Breastfeed To Be Entered to Win Some Great Prizes! Miranda Kerr Confirms She’s Pregnant! I love The World of Eric Carle Developmental Caterpillar! What a great baby gift! I like the Amazing Baby Developmental Light-Up Musical Mirror. The turtle action musical toy sounds awesome. I like the Buddy Bears and their asthma & allergy friendly. I love the Collectible Peter Rabbit! I like the Amazing Baby Sound Balls Chime, Jingle, Crinkle. The whole Amazing Baby line is reall neat and colorful! I think the Mama-Baby Turtle Action Musical is really cute, the lamb musical is cute too. Became a fan of kids preferred on facebook. Friend of growing your baby. Following growing your baby on twitter! I love the Dressable Madeline! My favorite is the Kids Preferred Peter Rabbit—so cute! I like the Briana Doll. My favorite is the Beatrix Potter Collection…especially the Nursery Peter Rabbit Doll! My favorite is the Elmer the Patchwork Elephant plush! I like the Pooh Snuggle Blanket, too. I love the Amazing Baby Developmental Turtle. I like Kids Preferred on FB as Felicia King. I like the “Developmental Giraffe” that is certified as asthma friendly, I love how many asthma friendly products they have. I love their pat the bunny beanbag. The Sophia doll is precious. i like the large plush Elmer patchwork elephant. My favorite would be the Martha Speaks Large Plush.